With a new central city bus hub proposed for Great King St and further route changes planned, how extensive has council consultation been with local businesses and retailers? We suspect ‘minimal’ if not at all. In the absence of sound economic modelling carried out in public domain – the collective study of cause and effect – ‘top-down’ imposed route changes are the death knell to small business operators and their livelihoods, wrecking the local retail economy, slaying the fabric, busyness and potential diversity of our town centres. Improper unconsulted changes to the bus system problematise or completely sever established movement patterns between our points of congregation. Affordable options for transit and visitation across the city are smashed and disappear. Everybody loses. █ How much more harm can Otago Regional Council and Dunedin City Council inflict upon the Community of South Dunedin? Less foot traffic in South Dunedin since changes to bus services. Changes to Dunedin’s southern bus routes are affecting business in South Dunedin, shop owners say. The changes to the Mosgiel-Taieri bus routes in June last year led to buses from Green Island being rerouted to travel along the Southern Motorway into the Octagon rather than through South Dunedin. Grey Power Otago president Jo Miller said the new routes meant it was more difficult for customers to get to South Dunedin. 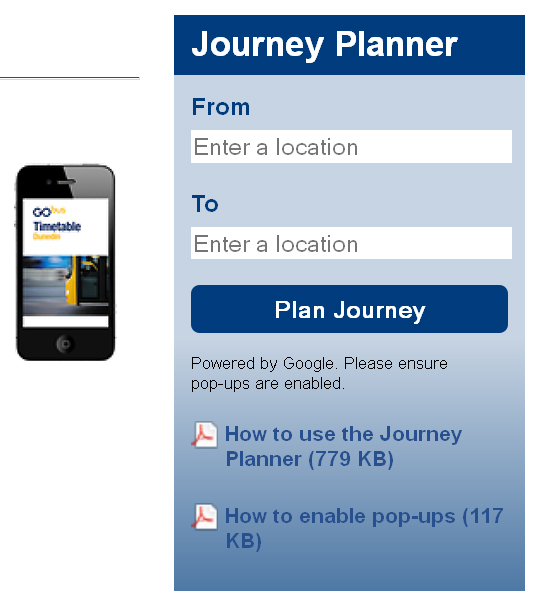 […] Other updates to the bus service in August this year had also affected southern bus users. The Ross Creek to Ocean Grove service now travelled directly down Andersons Bay Rd instead of King Edward St. […] When approached by The Star for comment about businesses being affected by the bus routes, Otago Regional Council support services manager Gerard Collings said “that matter hasn’t been raised with us directly”. ● Gerard Collings [LinkedIn] is the multifarious ‘go-to’ at Otago Regional Council. Mr Collings is experienced in local body administration and community board representation. His profile shows no tertiary qualifications or accredited work experience in urban economics, business development or placemaking. The Council has provided Mr Collings with a ‘management’ role for public transport planning and operations. He is a national certificate holder (NZTA approved proposal evaluator) – refer to NZTA Procurement Manual, sections 10.19 Qualifications of proposal evaluators and 11.2 Performance measurement and monitoring framework. Calls for public transport to be more affordable and accessible for the “walking poor” dominated yesterday’s public transport hearing. “Heart-wrenching” tales of parents walking with young children from Corstorphine to Dunedin Hospital or walking up steep hills carrying bags of groceries while buses zoomed past were made to the panel of regional councillors Sam Neill (chairman) and Michael Deaker, along with Dunedin city councillor Aaron Hawkins, as they sat through the second day of public submissions on the draft regional public transport plan. About 330 people and organisations made submissions to the draft plan that contains sweeping changes, expected to lead to faster and more direct routes away from smaller residential streets. A phone and internet survey is to be undertaken to find out how much people know about the Otago Regional Council. A telephone survey of 900 people by Tauranga-based Key Research Group this month will be complemented by one on the council’s website. Council chief executive Peter Bodeker said the survey was the first of its kind for the council, which in the past had only surveyed its resource consent survey applicants. The Otago Regional Council appears set to consider handing responsibility for Dunedin’s public transport network to the Dunedin City Council. However, ORC chairman Stephen Woodhead fired a shot across the bow of Dunedin’s City councillor Aaron Hawkins for prematurely revealing the move yesterday. 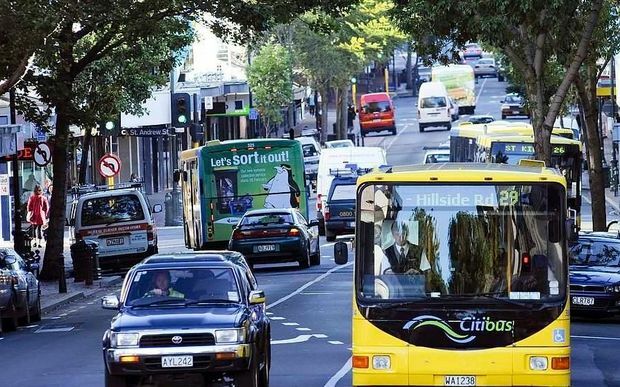 Cr Hawkins, in a message posted on Facebook, announced the ORC would meet next Wednesday to consider ”a proposal to formally offer governance of public transport to the Dunedin City Council”. Can DCC afford to take on loss-making bus services?